I really like this uniform, but I don't know what the name of it is or where to find one. It would be really nice if somebody could identify this uniform for me. That is a singer from the Red Army Choir. No longer called Red Army Song Ensemble of the M. V. Frunze Red Army Central House (Russian: Анса́мбль красноарме́йской пе́сни Центра́льного до́ма Кра́сной А́рмии и́мени М. В. Фру́нзе, tr. 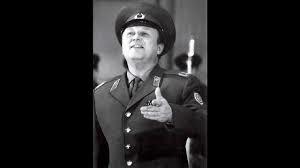 Ansámbl′ krasnoarméyskoy pésni Tsentrál′nogo dóma Krásnoy Ármii ímeni M. V. Frúnzeas the Red Army Choir in the West) but today the "Alexandrov Ensemble". 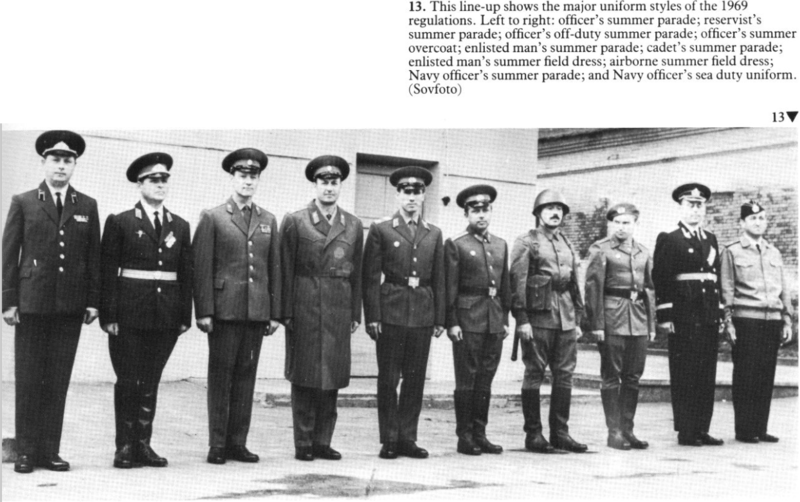 Until 1969, the standard uniform for the ensemble choir, soloists and orchestra was the tunic and riding breeches. On 1 January 1970, this was changed to dress uniform, and there have been further variations to the dress uniform as used by the ensemble since 1970. 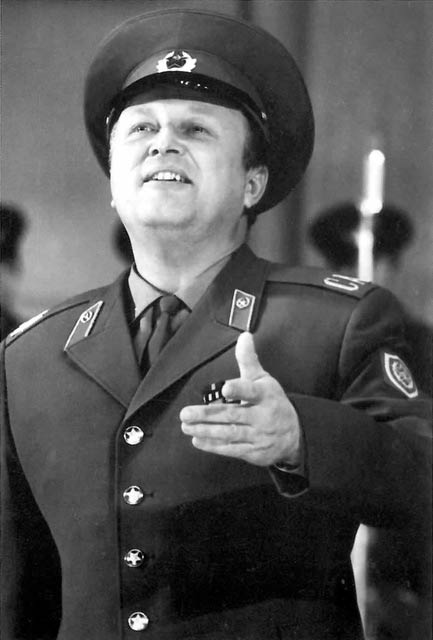 Evgueny Mikhaïlovotch Beliaïev – Tenor (1926 - 1994) (in Russian) apparently the picture is dated 1970 on this website. 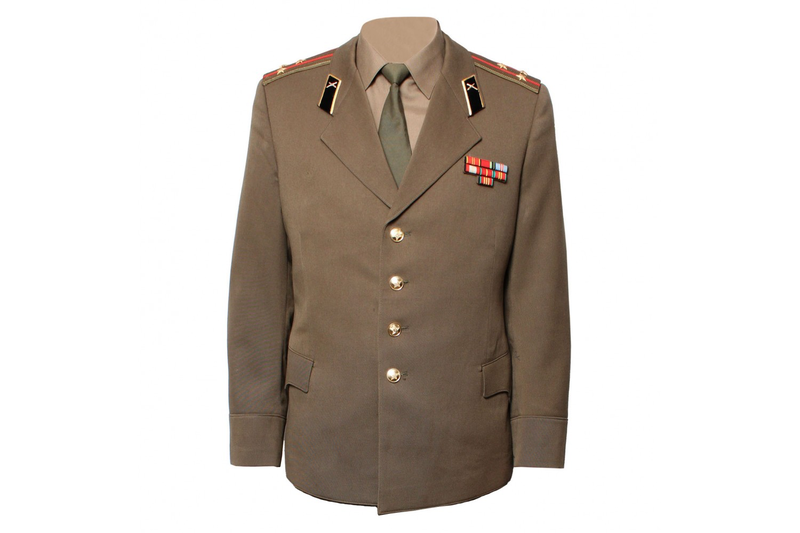 This is now to be found under "Soviet army Russian military everyday uniform Officers jacket tunic"
USSR army Officers military tunic made for everyday use. The jacket comes with shoulder boards and collar tabs. Also you can add trousers with red piping on the sides." Steven Zaloga: "Inside the Soviet Army Today", Osprey: Lonfon, 1987. Not the answer you're looking for? 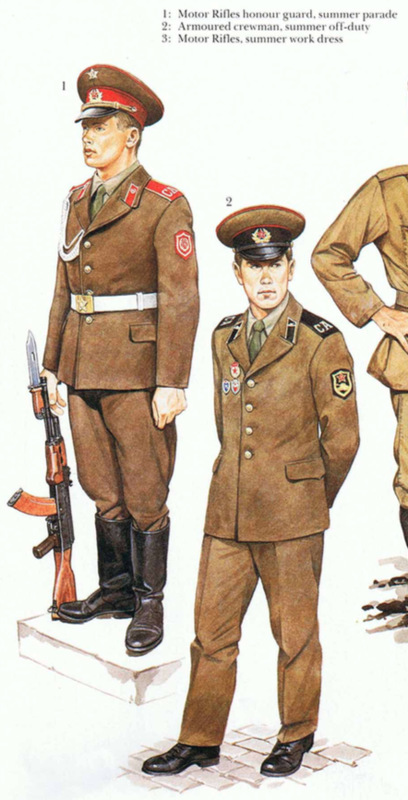 Browse other questions tagged soviet-union identification uniform 1970s or ask your own question. What kind of uniform is this? Can you please help identify this military uniform (1700's)? Can you identify this military uniform? Can someone help me identify this sword?